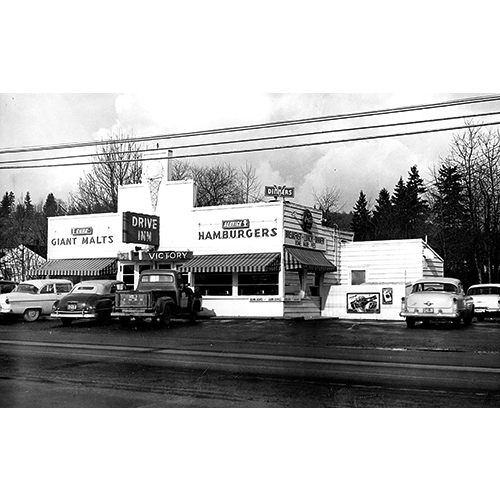 Hungry customers received curb service at Kenmore's first drive-in restaurant, called Ingram's Drive Inn and later Victory Inn as a tribute to the World War II effort. Les and Mary Ogle took over the restaurant in 1942 on Bothell Way just west of 68th NE. Photo courtesy of Gloria Eneix Laurine.